The key to the successful treatment of your injury is obtaining the correct diagnosis. From years of experience, I have found that in most cases, the most important factor is the history of injury. Typically, the diagnosis can be gleaned from the history provided. The second part of arriving at the correct diagnosis is a thorough physical examination. If there is still a question as to what the diagnosis is, laboratory studies, radiologic studies and other diagnostic tests are ordered. Once the diagnosis is identified, the treatment plan is delineated. In most cases, the treatments selected are the least invasive and least burdensome for the patient. If there is a resolution of the problem, nothing else needs to be done other than to institute measures to prevent the problem’s recurrence. If conservative treatment is not successful additional and more intensive treatments may be offered. “Whiplash”- sprain/strain of the cervical muscles. Occipital neuralgia – sharp, electric shock-like headaches that start in the upper neck and radiate up the back of the head to the crown. 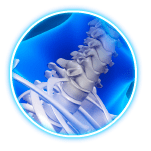 Cervical spine degenerative disc disorders – Painful aging of the spinal intervertebral discs located in the neck region. 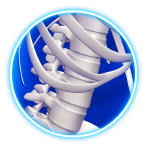 Cervical spine arthritis – arthritis of the joints in the neck causing pain with movement. Cervical radiculopathy – pain that radiates from the neck to the arm, forearm and hand; there may be associated sensory loss or weakness in the affected nerve’s distribution. Cervicothoracic interspinous bursitis – painful condition along the bony prominences in the spine. Rotator cuff tendonitis – painful tendons around the shoulder. Partial rotator cuff tears – tear(s) of the tendon(s) within the shoulder. 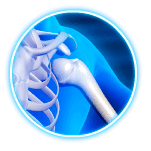 Shoulder bursitis – painful condition involving the structure surrounding the shoulder. Sternoclavicular arthritis – pain at the front of the lower neck radiating along the collarbone to the shoulder. Acromioclavicular arthritis – painful condition at the top of the shoulder. Shoulder myofascial pain syndrome – painful muscles and ligaments surrounding the shoulder region. Bicipital tendonitis and tenosynovitis – painful condition limiting bending of the elbow. Brachial plexopathy – a very painful neurological condition involving the nerves connecting the neck to the upper limb. Tennis elbow – painful condition on the outside (lateral) aspect of the elbow. 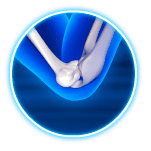 Golfers elbow – painful condition on the inside (medial) aspect of the elbow. 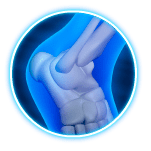 Elbow arthritis – joint swelling usually associated with pain, weakness, and loss of range of motion. Cubital tunnel syndrome – nerve entrapment of the ulnar nerve at the “funny bone,” associated with weakness, numbness and/or tingling on the inside of the forearm and part of the hand. Carpal tunnel syndrome – median nerve entrapment at the wrist. Ulnar neuropathy at Guyon’s canal – ulnar nerve entrapment at the wrist. De Quervain’s tenosynovitis – painful condition involving the base of the thumb. Metacarpal arthritis- arthritis of the finger. Intercostal neuralgia – nerve pain radiating along the rib. Costochondral arthritis – pain at the junction of the rib and the sternum at the front of the chest. Lumbar facet arthritis – spinal arthritis of the lower back. Lumbar disc herniation – Pain from a disc that has herniated in the low back. Lumbar spinal stenosis – Narrowing of the spinal canal either from a disc herniation, slipped vertebra or ligamentous thickening within the spine. Lumbar myofascial pain – painful muscles and ligaments in the low back. Iliac region neuralgia – painful nerve (burning/ tingling) in the buttock area and upper thigh. 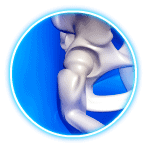 Sacroiliac joint arthritis – painful condition that mimics lumbar facet arthritis or disc herniation. 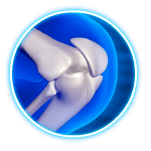 Knee bursitis – painful, swollen bursa surrounding the knee. Anserine bursitis – commonly overlooked source of knee pain. Knee tendonitis – painful condition involving the tendons surrounding the knee joint. 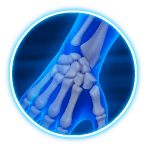 Plantar fasciitis – painful condition involving the bottom of the foot. The first step in the morning upon arising is the most painful. Morton’s neuroma –nerve pain affecting the foot and toes; cause of painful walking. Peripheral neuropathy – diffuse, body wide, nerve dysfunction typically related to systemic illnesses like diabetes or thyroid dysfunction.